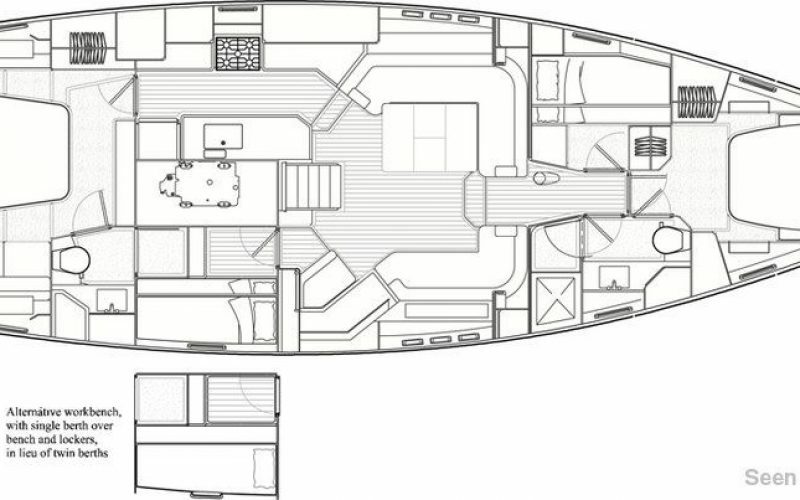 The Oyster 575 is an exceptionally well designed yacht with a sleek deck saloon and a spacious cockpit with twin wheels. 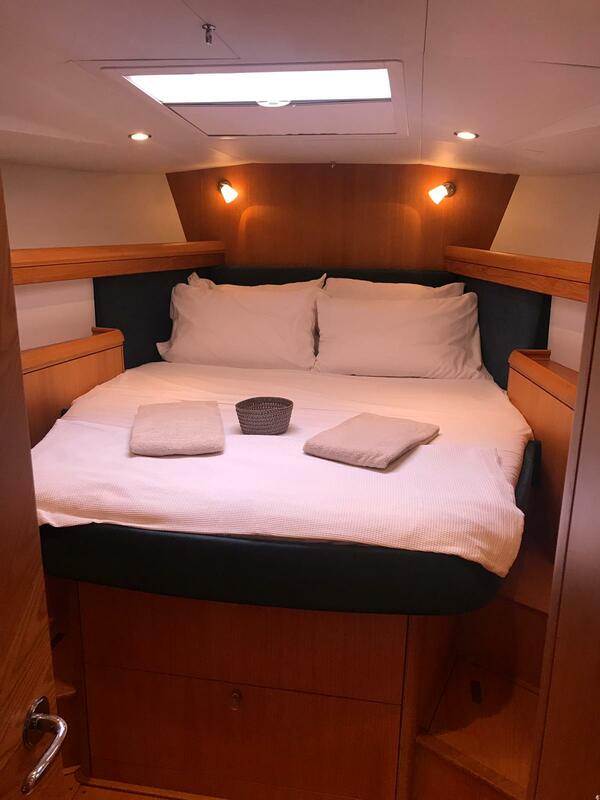 Every inch of space below deck has been optimised to provide comfortable, practical accommodation. 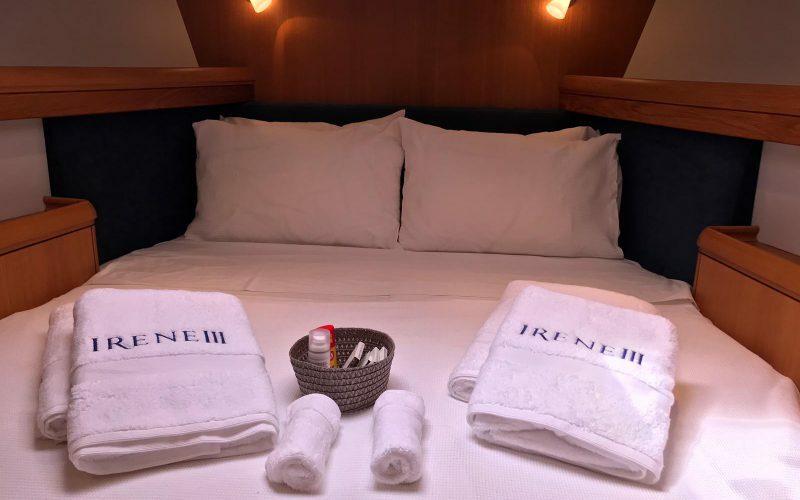 She can sleep 6 guests in two doubles and two bunk beds. 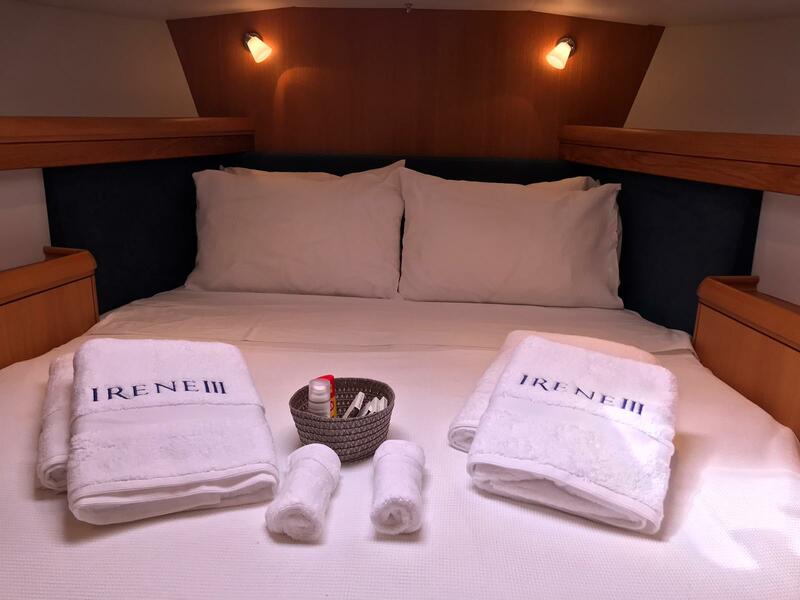 Below decks are four spacious cabins. 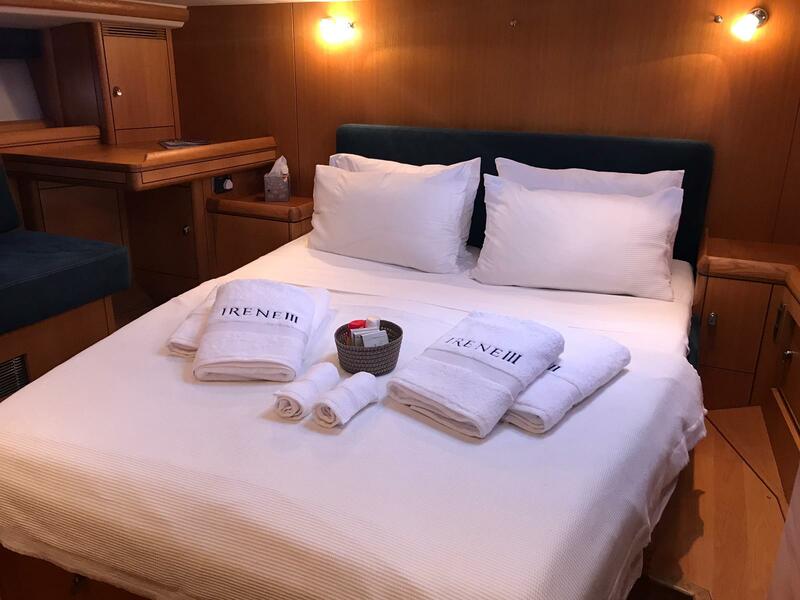 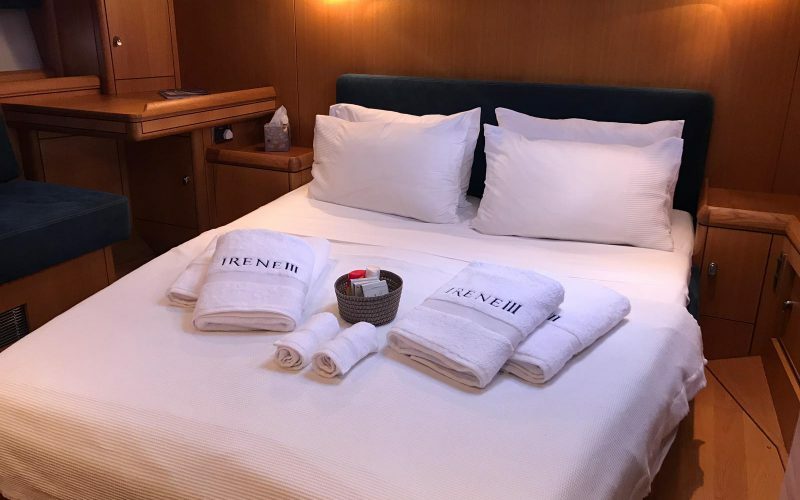 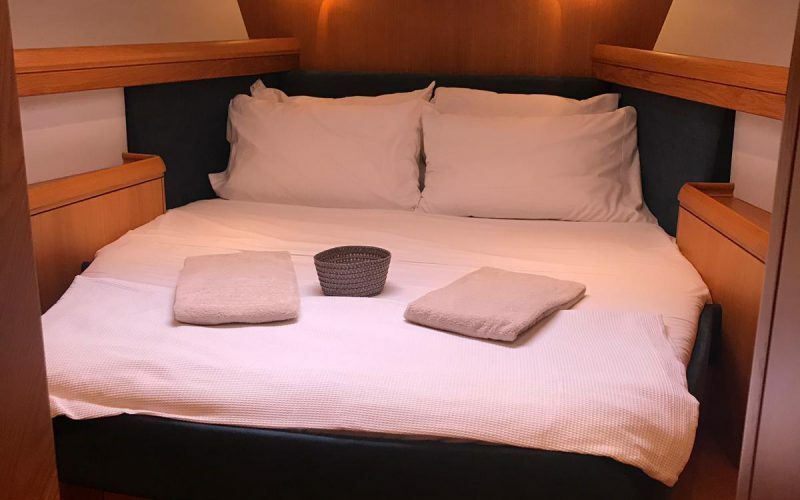 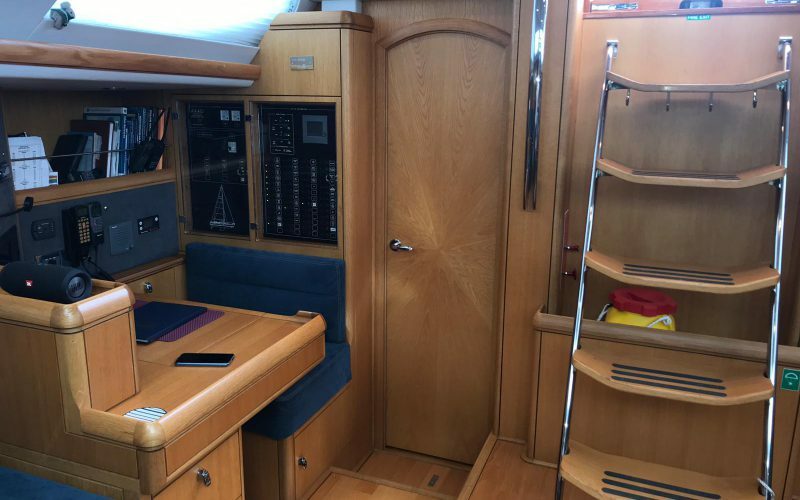 The master cabin has a spacious center line double with a private head and a enclosed shower, mid-ships is a twin bunk cabin, forward of the saloon are two additional cabins a forward centerline double and a port upper and lower bunk cabin. 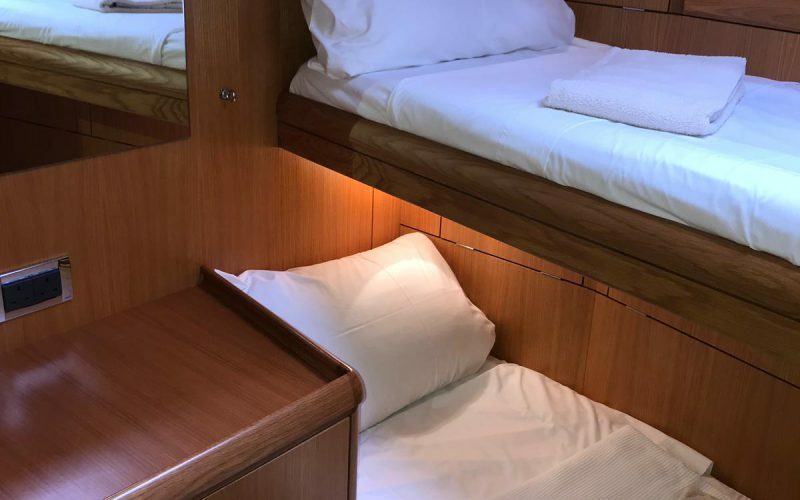 The three forward cabins share the forward head to starboard. 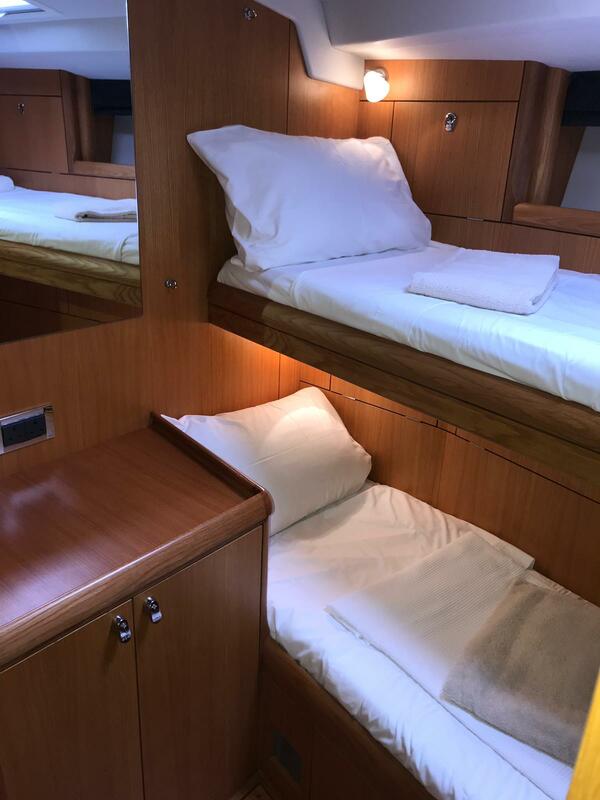 Your crew are flexible to be in either the forward double or forward port bunk cabin based on your preference. 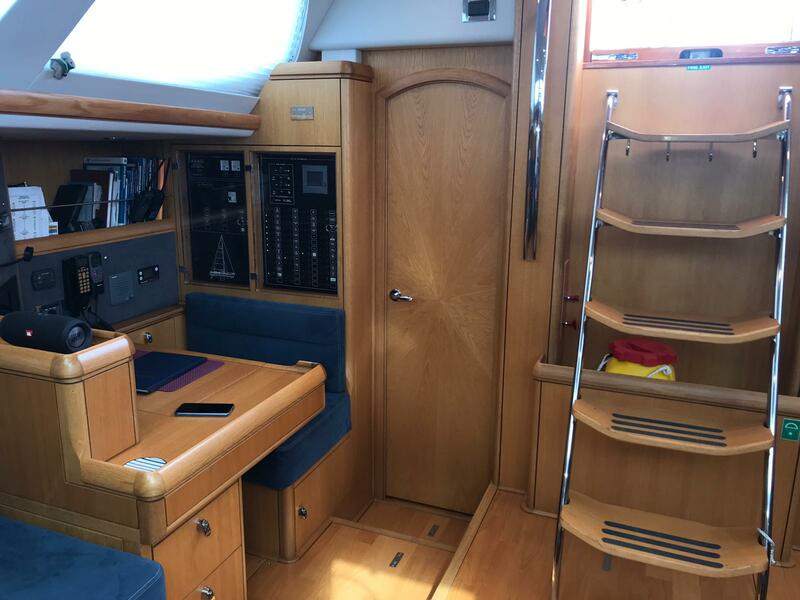 She can now take 12 for day charter. 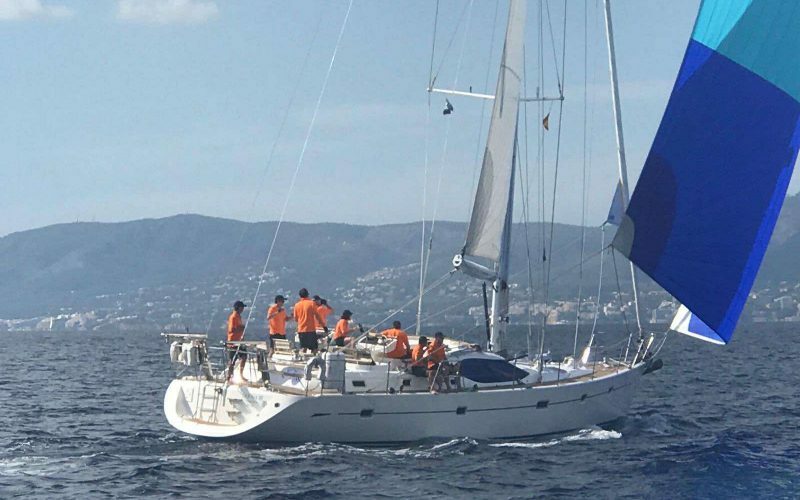 The price includes VAT, skipper, mooring at home port in Palma, final clean, bed linen, towels and the equipment. 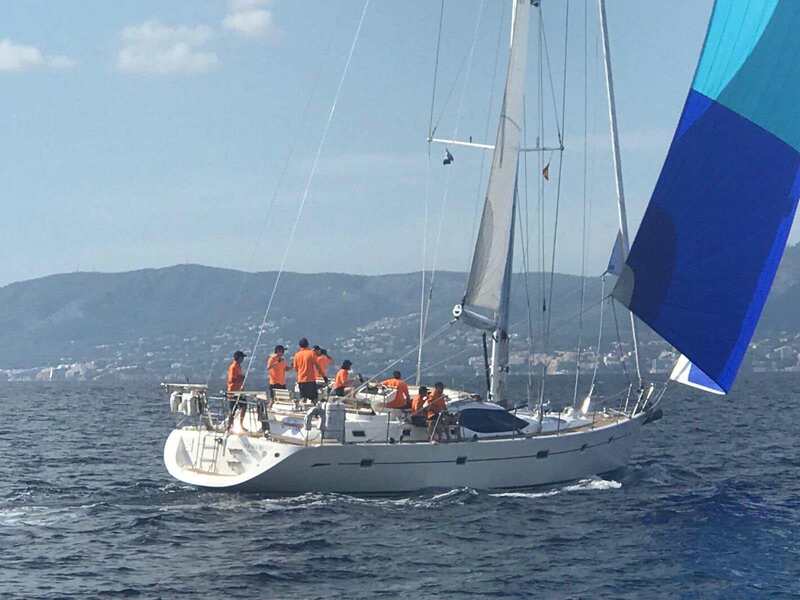 The price excludes stewardess at 150€ per day, moorings out of Palma, food, drinks, fuel, personal holiday insurance and airport transfers.